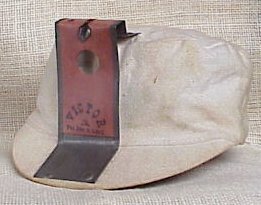 Patented Lamp Bracket on unmarked cap. 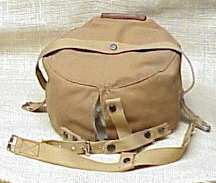 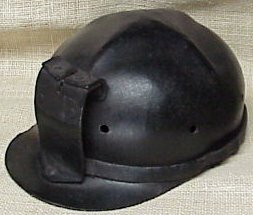 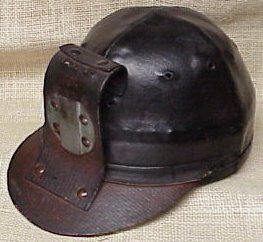 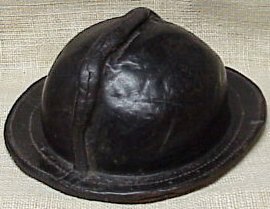 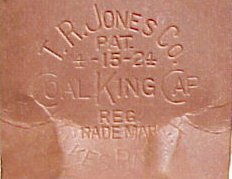 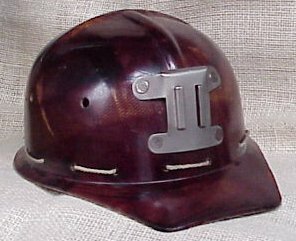 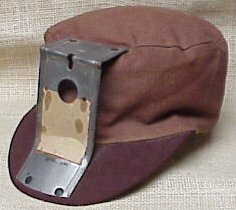 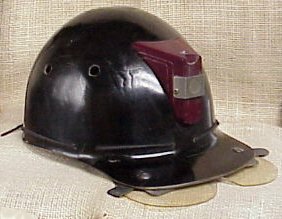 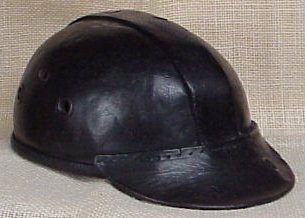 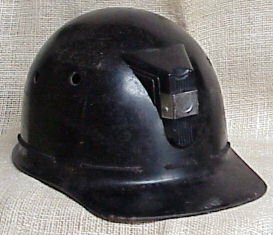 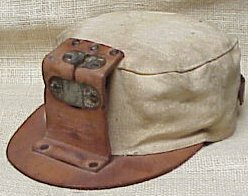 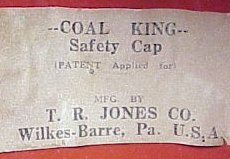 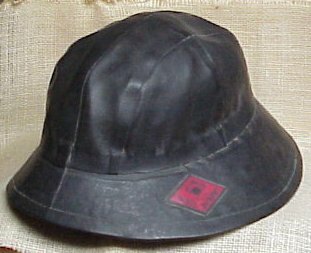 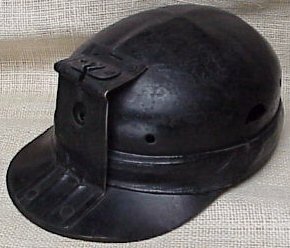 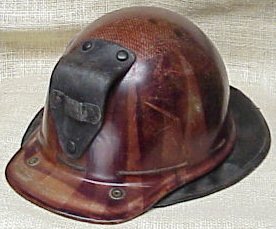 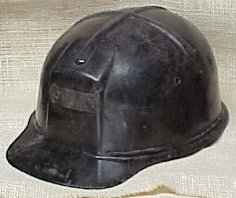 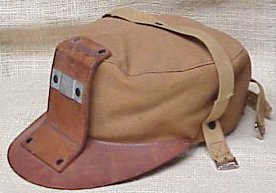 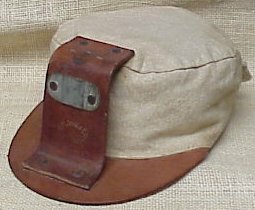 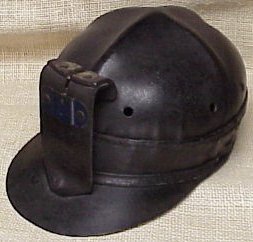 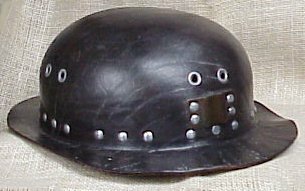 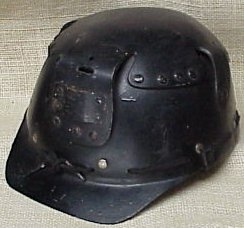 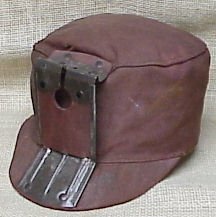 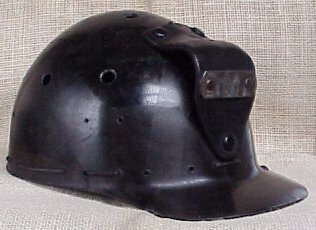 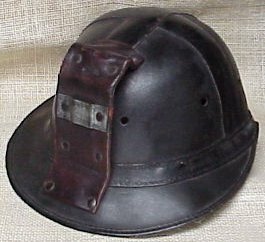 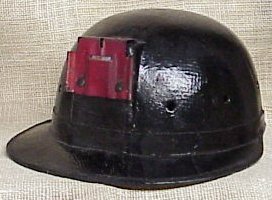 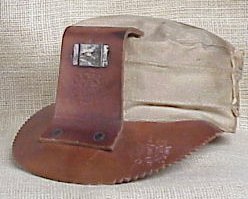 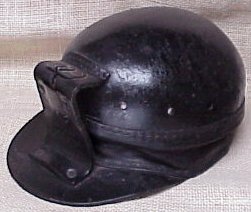 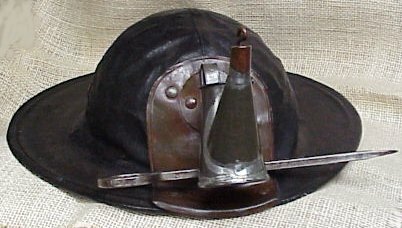 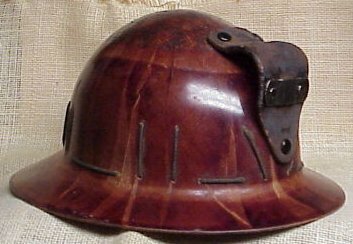 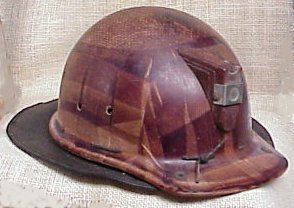 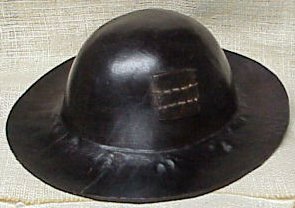 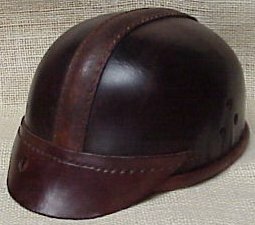 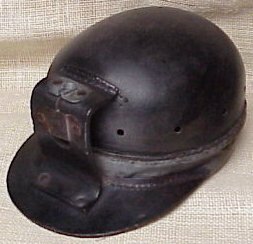 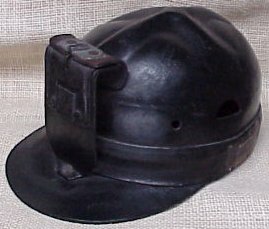 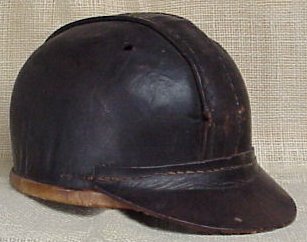 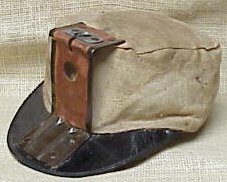 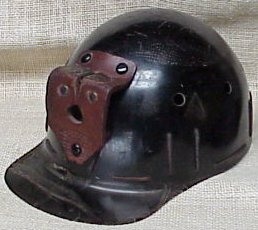 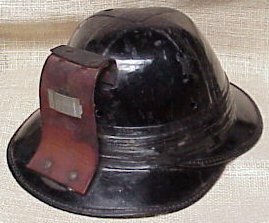 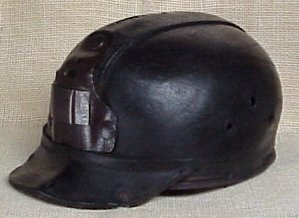 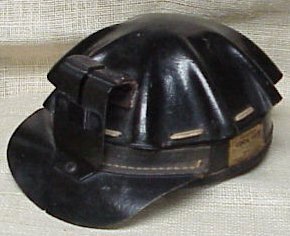 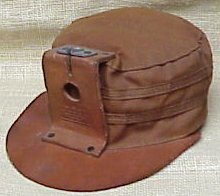 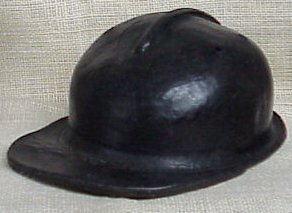 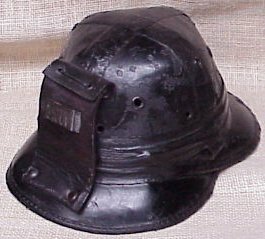 Cool Cap made by Portable Products Corp.
Miners' helmets and caps in the U.S. were initially used more for the utilitarian purpose of having a place to hold a lamp while the miner worked. 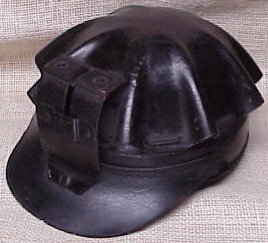 They were later developed into a safety device to protect the miner. 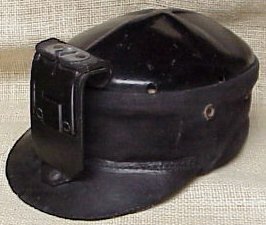 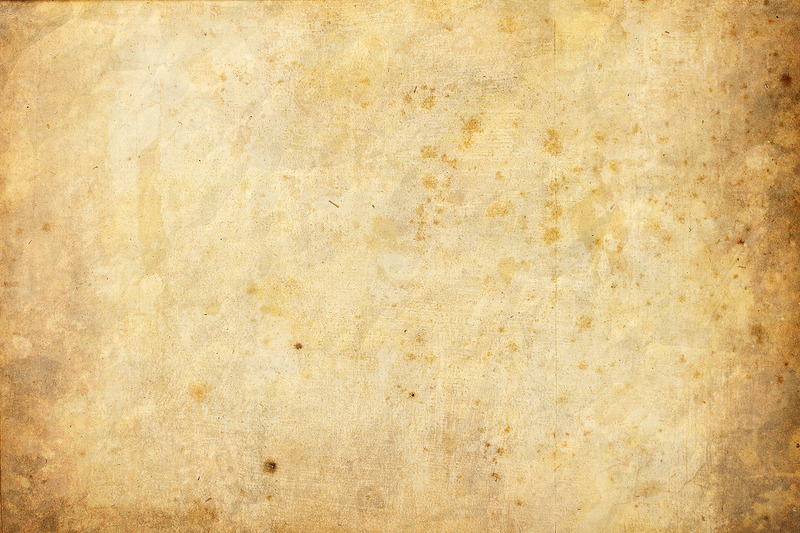 In the United States, the E.D. 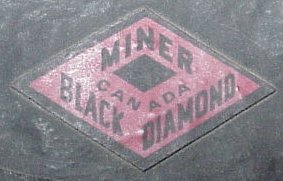 Bullard Company was a mining equipment firm in California, created by Edward Dickinson Bullard in 1898, who had been in the industrial safety business for 20 years. 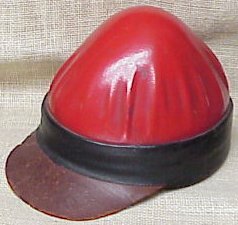 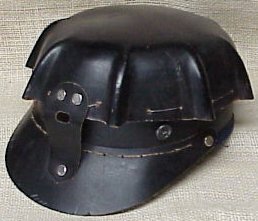 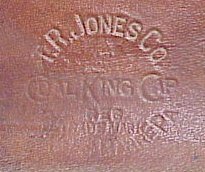 The company sold protective hats, but they were only made of leather. 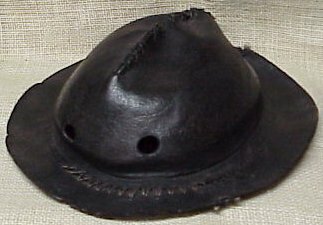 His son, E.W. 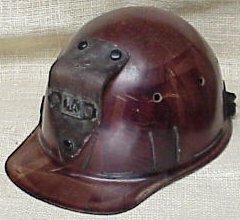 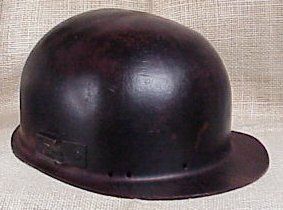 Bullard, arrived home from World War I with a steel helmet, which provided him with an idea to improve industrial safety. 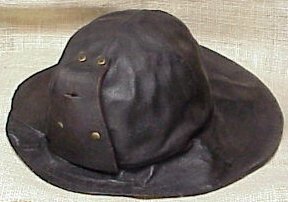 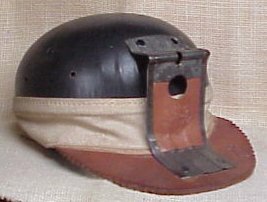 In 1919 Bullard patented a "Hard-Boiled Hat", made of steamed canvas, glue and black paint. 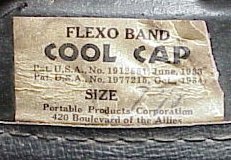 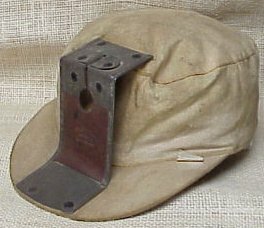 That same year the U.S. Navy commissioned Bullard to create a shipyard protective cap, which began the widespread use of hard hats. 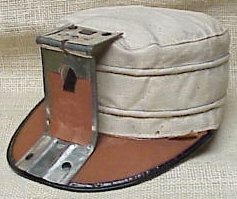 Not long after, Bullard developed an internal suspension that would provide a more effective hat.